A cheesy pasta and beef one-pan meal that’s ready in minutes. As far as I’m concerned, one-pan dinners win the “best thing ever created” award. A busy mom’s best friend, an easy enough dinner even dad can handle or just a lazy cook’s way to eat a homemade meal. 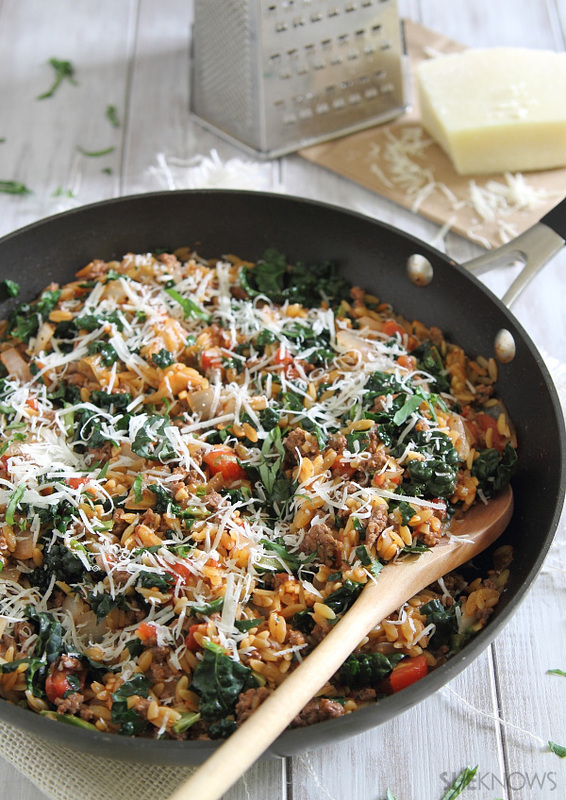 This orzo and beef skillet has all the flavor of a Italian baked pasta dish but it’s done in about 15 minutes on the stove top; it’s a seriously easy meal that’s pretty darn good for you, too. Look for whole wheat orzo if you can find it and amp up the nutrition even more.